Greg has lived in the city of San Francisco for over 10 years and knows the City and local neighborhoods. 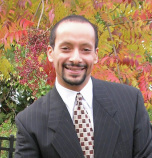 He has worked for 2 years at Keller Williams and approximately 5 years at McGuire Real Estate. He grew up on a ranch in Fresno. He went to undergraduate school at Santa Clara University, then went on to Boston and Washington DC where he completed his education and received an MBA from Boston College and a law degree from Georgetown. Greg is an attorney and uses his legal knowledge to assist you with your real estate contracts, negotiations, and understanding the buying and selling process. He has access to attorneys who specialize in various legal transactions such as TICs, 1031 exchanges, taxes, estate planning, etc. He used to work in the financial services industry for Wells Fargo, where he developed and managed banking products secured by both commercial and residential property. He knows and understands what lenders are looking for and is qualified to assist you with your financial needs. Greg is part of GB and Associates. GB and Associates is a team of realtors, and real estate specialists. We are active in the industry and are in communication with and have access to a team of experts who can best help you with your real estate needs. • We assist you in strategically pricing your property. • We have a marketing staff who can get your listings into magazines, websites and newspapers to best get your property sold. Greg was raised Roman Catholic. He is dependable, reliable, and honest. He is a hard worker and pays attention to details. He does his best in whatever he undertakes and will diligently represent and protect your interests. If you have a real estate need, we look forward to assisting you. Thank you for taking the time to research my background and for your consideration. If there is any other information you require or if I can be of assistance to you please contact me at (415) 640-4341 or via e-mail at gregorybryan@gbandas.com.